It seems that the big projects always get the attention here. So, while we’re still in the midst of the big project of redecorating the Kid’s room, I thought I’d throw up a few of the smaller projects that have been skipped in the past month or so. I picked it up from the local Goodwill store and I couldn’t believe what awesome condition it was in. 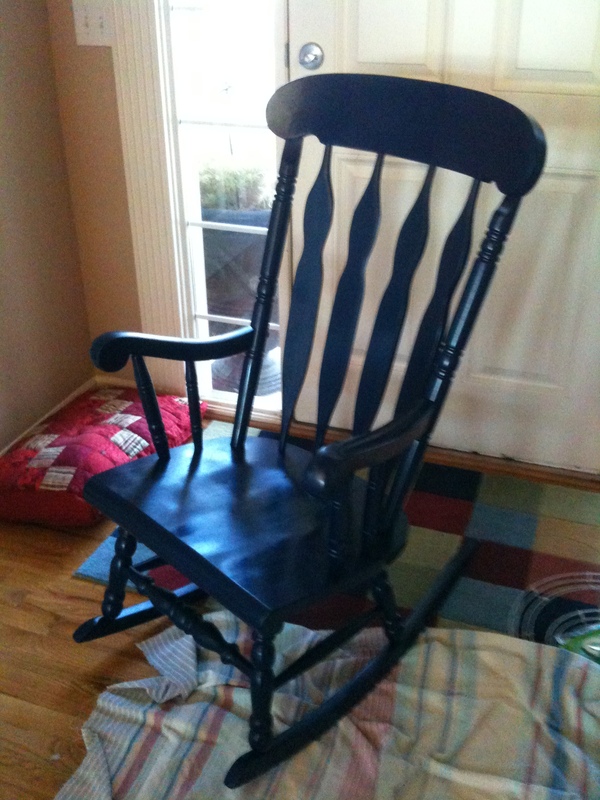 The seat and arms were a bit worn – this was obviously a piece that had been loved and used in the past – so structurally I didn’t have to do anything to it, but a bit of sanding and painting. 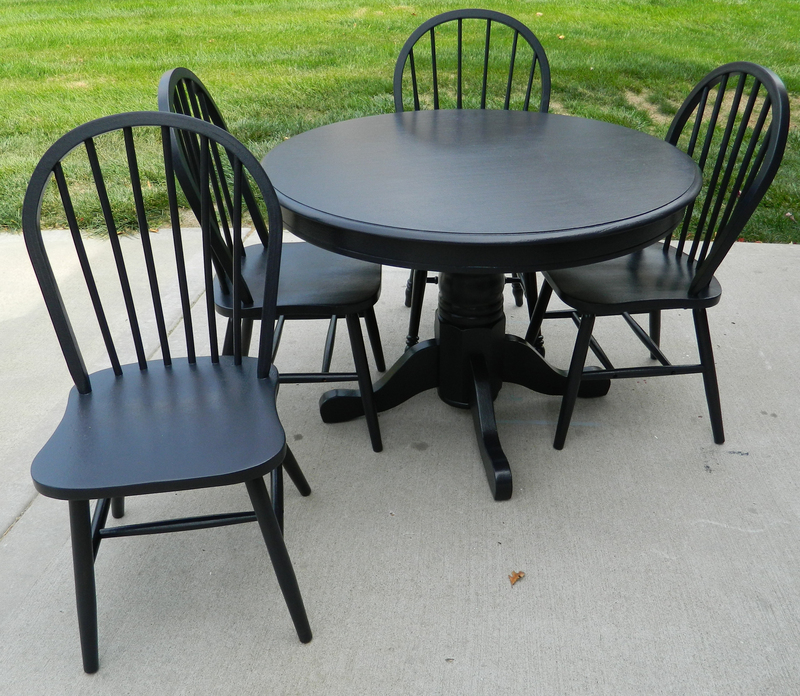 I chose to do this with spray paint to get a nice, smooth finish and I used this dark blue/navy color. It was a pretty straight forward project although the dark paint required several/many coats of paint to get a nice even coverage. Up next, is a small night stand. If you recall, I did a gray ombré dresser and sold it to a young man who after a couple of tries at getting furniture that he loved, finally settled on the piece I restored. I am constantly amazed by what a good paint job can do to a piece of “trash”. I live and die by the statement that one person’s trash is another person’s treasure. 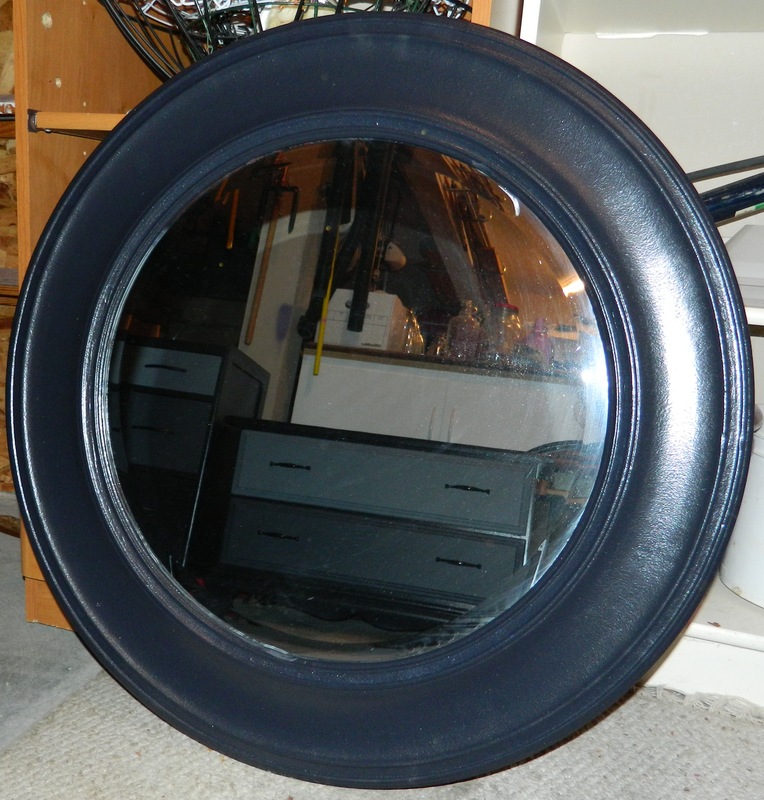 On to another quick project, repainted a round mirror. It could be used to accentuate either of the gray ombré dressers or would work on its own. 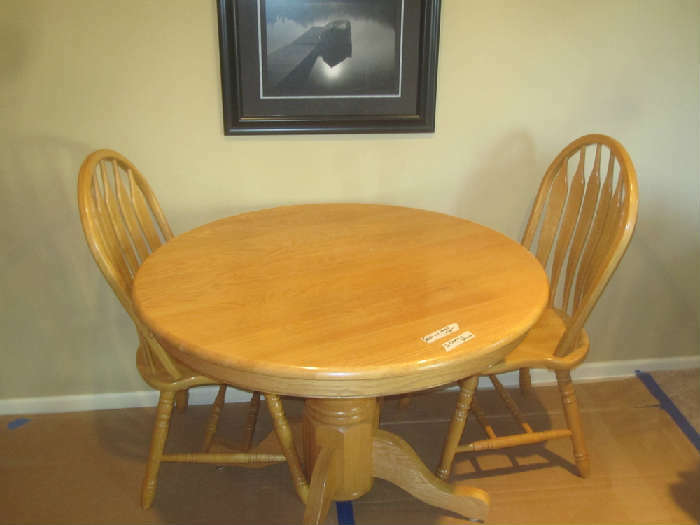 But before I started working on the really nice table I purchased for this special treatment, I wanted to see how the paint would turn out. 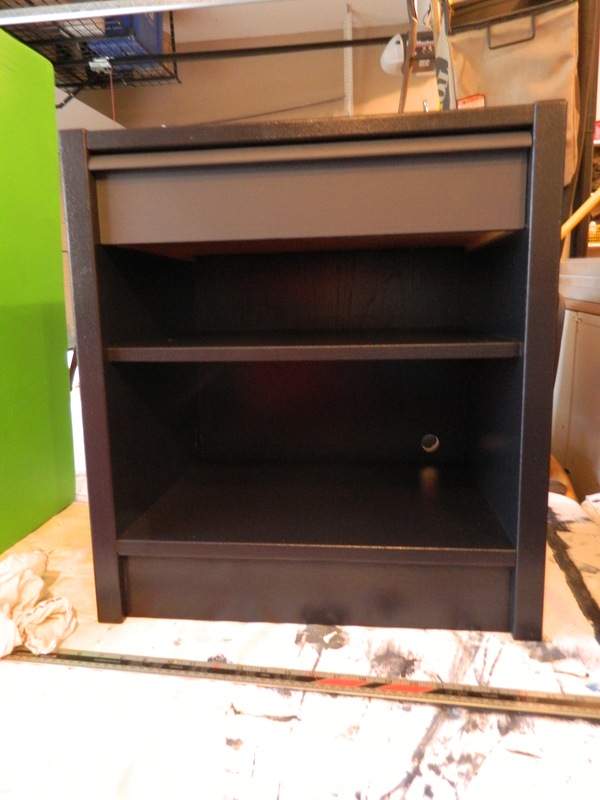 So, on with about six coats of my favorite black paint. It is really a pain to have to alternate positions of the chairs to be able to get every nook and cranny painted, especially when using a roller! I will probably work hard to avoid using roll on paint again and opt for spray paint for this type of application in the future. 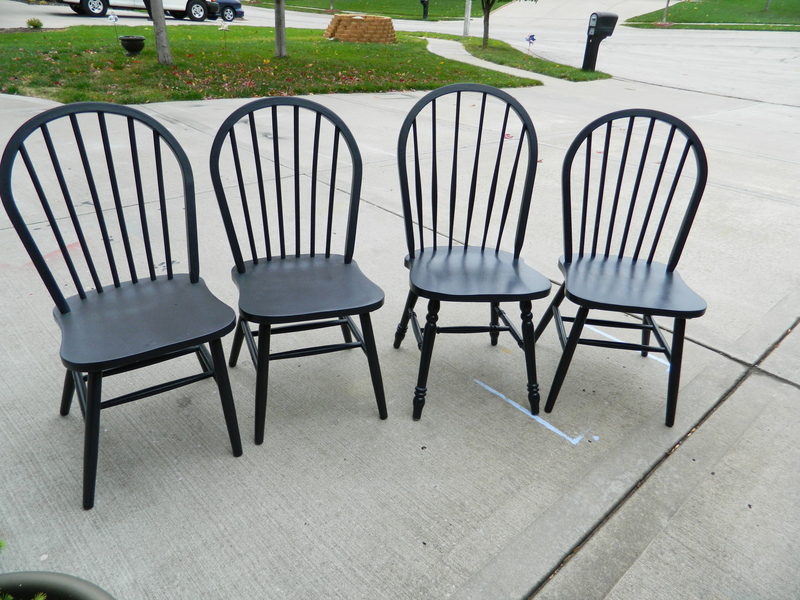 I actually had one matching chair and one more that was very close to the same style. You really have to look close to noticed the difference. So wishing everyone their version of a perfect Thanksgiving! And happy crafting y’all!